Although I spent 4 weeks in Cusco, I did only a few touristic things. 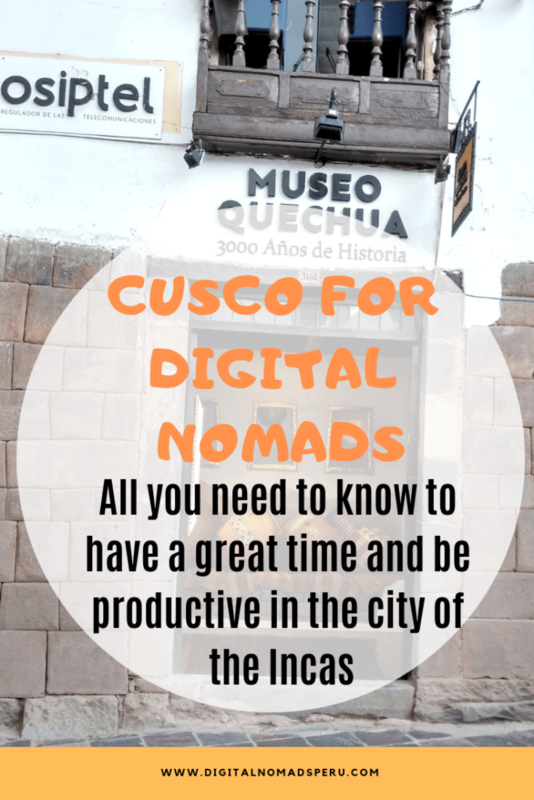 So instead of writing articles for my travel blog, I decided to write this mini-guide “Cusco for digital nomads” instead. More or less a random list of things that I found important to know and find out and which helped me in my everyday life in Cusco. 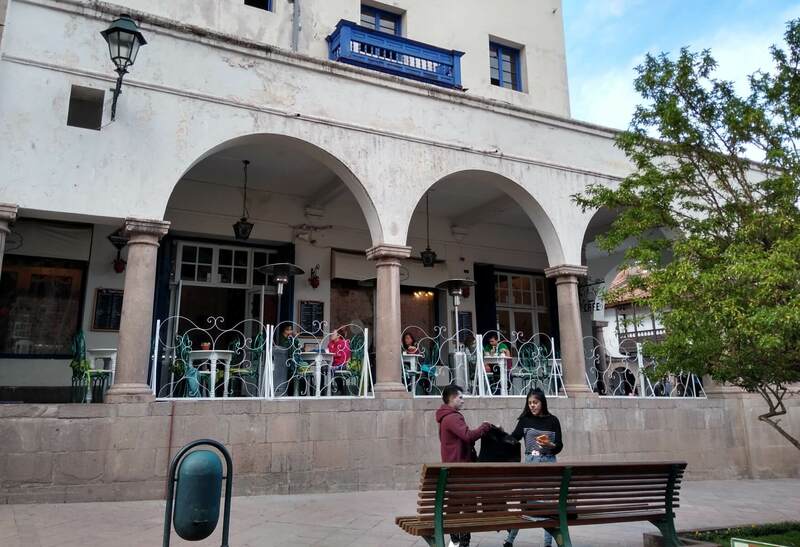 For those of you who are interested in the touristic stuff, I recommend reading “What do to in Cusco before and after Machu Picchu”, a comprehensive guide written by fellow bloggers Jenny and Steven from Tales from the Lens. Well, but let’s get started with some info for digital nomads now. There are buses to and from the airport but depending on the time of the day and how much luggage you have, they may not be your best option. Personally, I avoid taking city buses in Peru when I travel with my big backpack. I need this little luxury and taxis are really affordable here. A taxi to the city centre costs 10 – 12 soles if you avoid the taxi companies at the airport and either hail a taxi in the street in front of the airport or come to an agreement with one of the drivers who park their cars outside the airport’s parking lot. 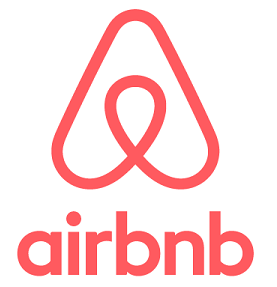 If you have a reservation at Alfons’ and Mery’s AirBnB, they offer to pick you up for 15 soles. Do whatever you feel safer with and trust your gut feeling. 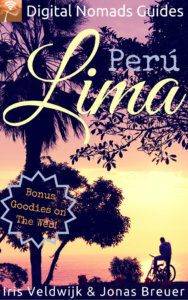 If you come directly from Lima and Cusco is your first stop in the Andes, you may feel the altitude. Everyone reacts differently and it does not depend on your general fitness level. 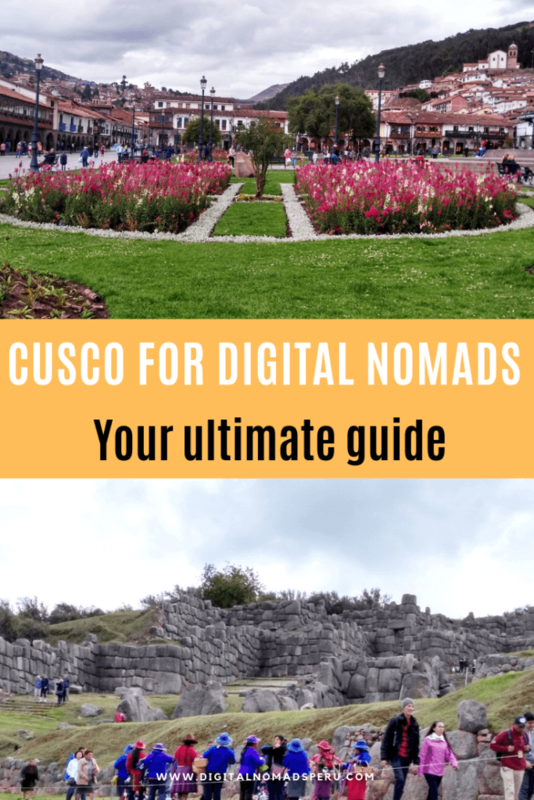 As a digital nomad, you’ll probably spend more than just a couple of days in Cusco, so just go slowly. Perhaps you could spend one or two days mainly working and exploring your immediate surroundings. And drink coca tea which you can buy at every supermarket and at many small shops. You’ll probably notice that you have less energy than usual and are easily out of breath when you take walks. Or you may wake up at night without no apparent reason – it’s because your body has not yet adapted to the lower level of oxygen in the air. However, if you don’t have any other symptoms, you’re fine and after a couple of days, you’ll surely feel much better. If your symptoms are more severe (headaches, a constant feeling of dizziness), you can try either coca leaves or soroche pills. Personally, I’m not a huge fan of coca leaves for long periods of time. They don’t taste very good and I’m simply not used to chewing something continuously. I just buy them as a prevention when I know I’ll be at a high elevation for a while, for example when I took the tour to Colca Canyon. Soroche pills are sold at any pharmacy in Cusco. 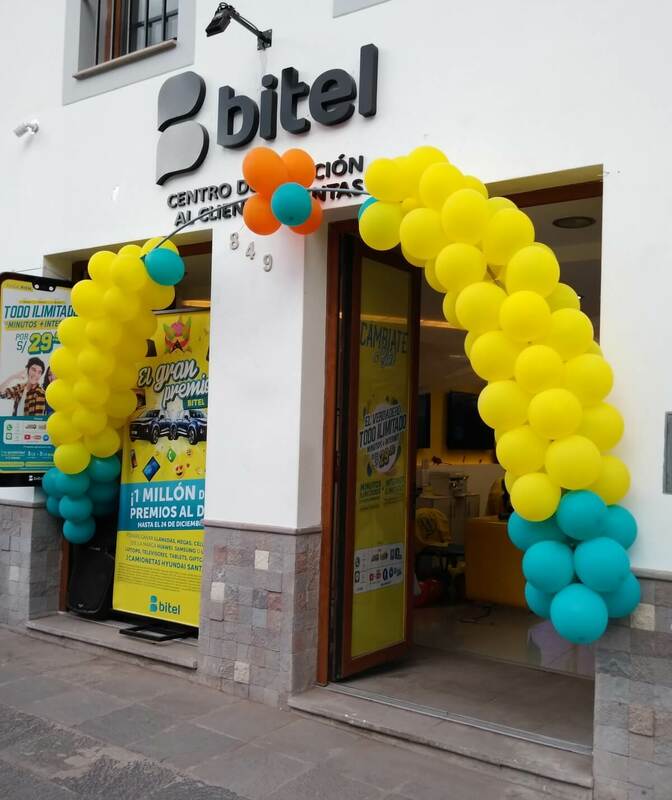 Peru has 4 mobile phone companies: Claro, Movistar, Entel and Bitel. All four of them have stores in Avenida El Sol and all for of them sell pre-paid SIM cards to tourists. I’ve used Entel and Bitel pre-paid cards before I became a resident in Peru and now I have a Claro post-pago contract. 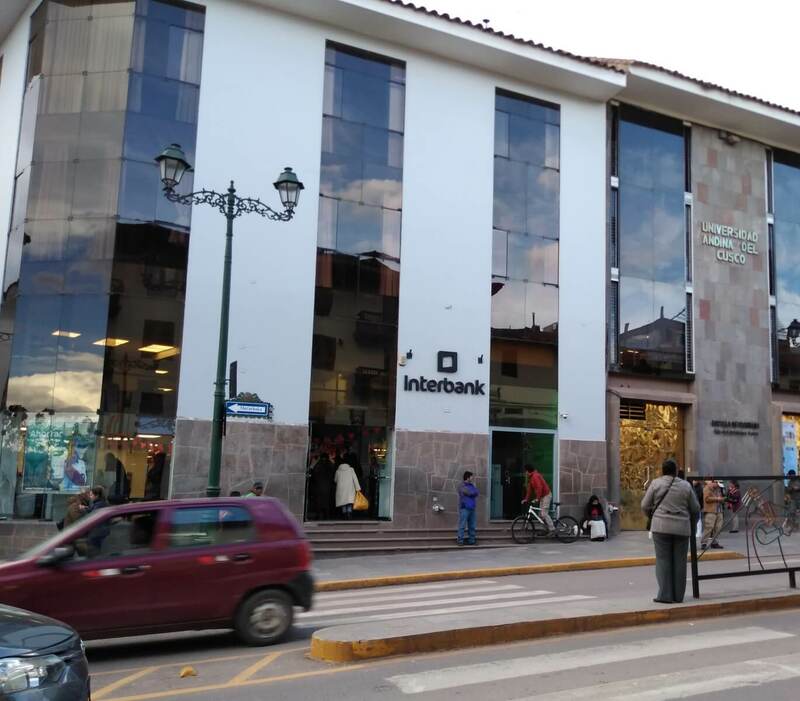 In the city of Cusco, you’ll have coverage with all four companies and can use your mobile phone as a hotspot if the wifi in your accommodation isn’t good. My speed with Claro is currently about 12 Mbps download and 6 Mbps upload. Please click here to read my more comprehensive post about SIM cards in Peru. All ATM’s are equipped with soles and dollars. Whenever you withdraw money, you need to choose which currency you want. Even if your own bank doesn’t charge you anything for withdrawing cash abroad, the Peruvian bank will most likely do so. How much you are allowed to withdraw also depends on the bank and where your credit card was issued. Normally, you can withdraw more dollars than soles. There are possibilities to exchange dollars all over the city centre. All major banks (Scotiabank, Interbank, BBVA, BCP, Banco de la Nación) have a branch in Avenida El Sol. You will find ATM’s at stores, pharmacies and supermarkets, too. However, I recommend using bank ATM’s only as people have already had problems with fake money from other ATM’s. Normally, you’ll be able to pay with your credit card but small shops or restaurants will often charge you an extra fee. The historical centre of Cusco is absolutely walkable. Unless you severely suffer from altitude sickness or are very unfit (some streets are steep indeed), you won’t need to take a taxi. If you nevertheless choose to do so, expect to pay 4 – 5 soles for a distance of 2 – 3 km. Buses and micros cost 0.80 soles. The names of the street where they pass are written on the vehicle. If you’re in a crowded micro and want to get out, shout “baja”. Or stay close to the door and hope that someone else will get off, too :-). 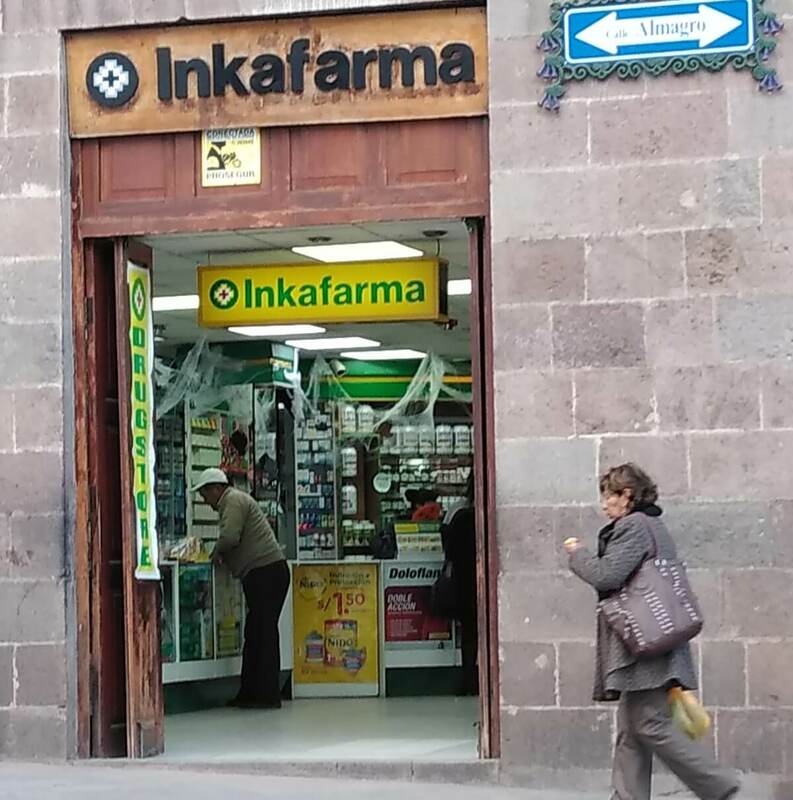 Inkafarma and Mifarma can be found all over Cusco. At the bigger stores, you’ll often have to say what you need first, then they send you to a counter where you pay and than to a different counter where you pick up your products. Just a tiny bit complicated :-). On the upside, you can get a lot of drugs without a prescription, eg antibiotics and birth control pills. If you need a special drug and have run out of it, take the package with you and let them check if the same is available under a different name or buy something similar. I sometimes suffer from migraine attacks and used a slightly different drug in Europe. However, the product I changed to in Peru, works just as well. If they don’t have the drug you need in stock, tell them to check where to get it. Like in most other countries, the pharmacies of one chain are connected and they can look up in their computer system which store has your drug in stock. Apart from Inkafarma and Mifarma, there are also independent pharmacies and so-called “boticas” which sell the most common drugs, too. If you’re located in the City Centre and need to go to a supermarket, the ORION opposite of Mercado San Pedro is probably your best bet. I never entered, so I don’t know what it’s like inside. There are ORION supermarkets of varying sizes all over Cusco. They’re ok but I wasn’t too impressed with their choice of products. If you need a really big supermarket, the PlazaVea hiper at Avenida Collasuyo is definitely better. It’s part of the Real Plaza shopping mall and a bit far away from the city centre, a taxi ride should cost you 6 – 8 soles one-way. I went just twice during my 1-month-stay in Cusco, bought quite a bit and it was really worth it. La Valeriana Bakeshop – They have great cakes, tea and coffee but I wouldn’t recommend their sandwiches. I tried two and both of them were not very good. Museo del Café – Perfect for everything: breakfast, lunch or dinner and simply a very nice place to relax or get some work done. La Barra – I accidentally stumbled into this restaurant but didn’t regret it. Great choice of all kinds of dishes. Museo del Pisco – Great choice of cocktails but one downside: They bring you nuts you didn’t order and charge 10 soles for them – not funny. Sometimes, nomads need a haircut and it’s not recommendable to look for the cheapest hairdresser or go to the one around the corner. Well, if you’re male, it may not matter that much. However, if you’re a female and have a hair structure which is so different from that of an average Peruvian, you better look for a hairdresser who has some experience with your kind of hair. Normally, I look for recommendations in expats Facebook groups (use the search function before you ask a question which has been asked a hundred times before) and that’s how I found my hairdresser in Cusco. She dyed and cut my hair for 135 soles and didn’t mess up. Her shop is a bit far away from the centre, so expect to pay around 8 soles for a taxi ride. You can certainly buy souvenirs all over Cusco. Don’t accept the first price and have a look at the quality, too. Don’t expect an alpaca pullover for 30 soles to last forever. There are some artesanía malls when you walk down Avenida El Sol and you certainly don’t want to miss Mercado San Pedro. 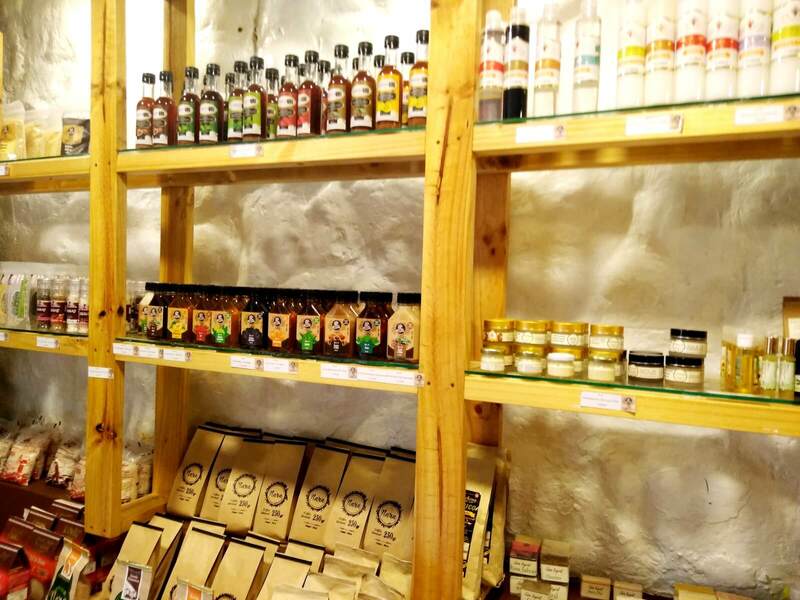 That’s not just souvenirs but you can buy all kind of spices, quinoa, dried fruits, vegetables, potatoes etc. Or you sit down and enjoy a local meal for a few soles. I discovered this small shop during one of my walks through the city centre and really liked their choice of products, ranging from shampoos, body lotions and soaps to chocolate and coca products. It’s located in Calle Suecia. Just walk up from Plaza Armas and you’ll find it at the end of the street on the right side. 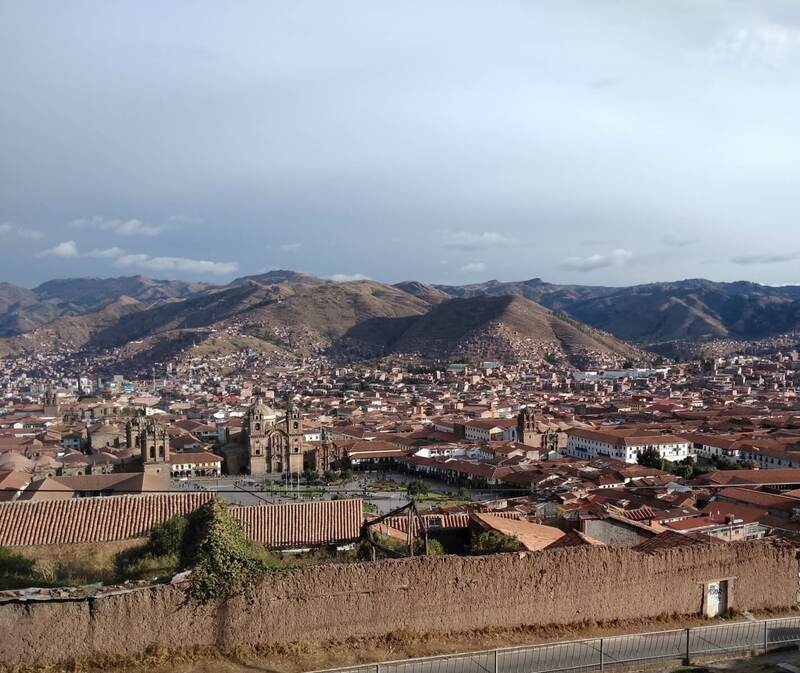 There’s certainly much more about Cusco but hopefully, this mini-guide will make it a little easier for you to settle in. 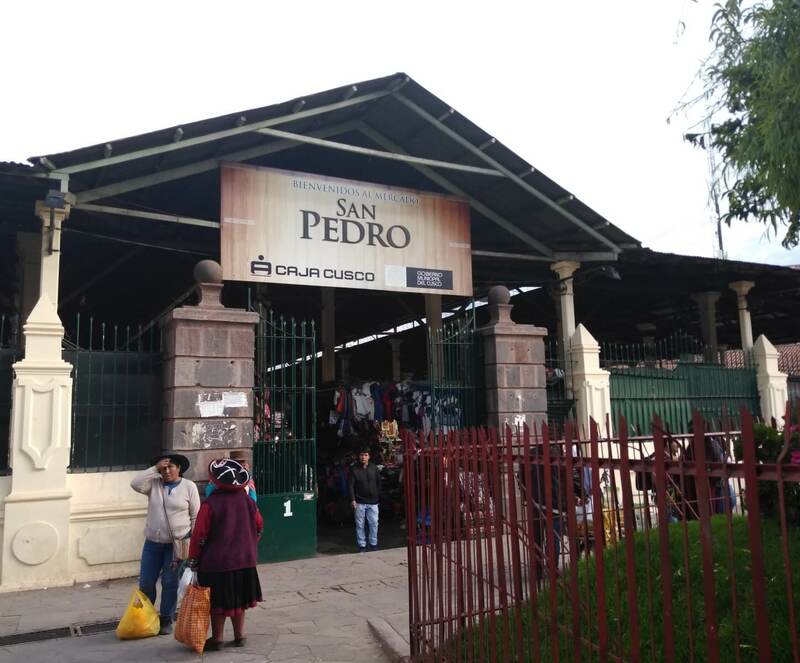 Enjoy your stay in Cusco and don’t forget to join the Digital Nomads Peru group. We have members who know Cusco much better than I do and who will be able to answer further questions. I was in Cusco for a few days for work and everything was great, the place has a charm that you will love. Then I traveled to Bolivia by land where it is also wonderful.